Sure, gravity is important… in physics. But when it comes to how it affects aging, it’s literally a drag. From around age 35 and up, the inevitable pull of gravity can cause the face and jowls to sag, sag, and sag some more. Making matters worse, there was little that we could do about this phenomenon without plastic surgery until quite recently: while dermal fillers, Botox injections, chemical peels, laser treatments, skin care products, and even some natural home remedies and facial exercises can help address wrinkles and volume loss, actually defying gravity has been just a dream. Although nothing can reliably measure up to the results of facelift surgery, there are some impressive non-invasive cosmetic procedures for women and men who aren’t willing to go under the knife. These three treatments are also ideal for anyone who is just beginning to see the signs of skin laxity in the mirror, or for younger people in their 30s and 40s who want to their skin to remain smooth and firm for as long as possible. Plastic surgeons, dermatologists and cosmetic doctors are enthused about the new Silhouette InstaLift. 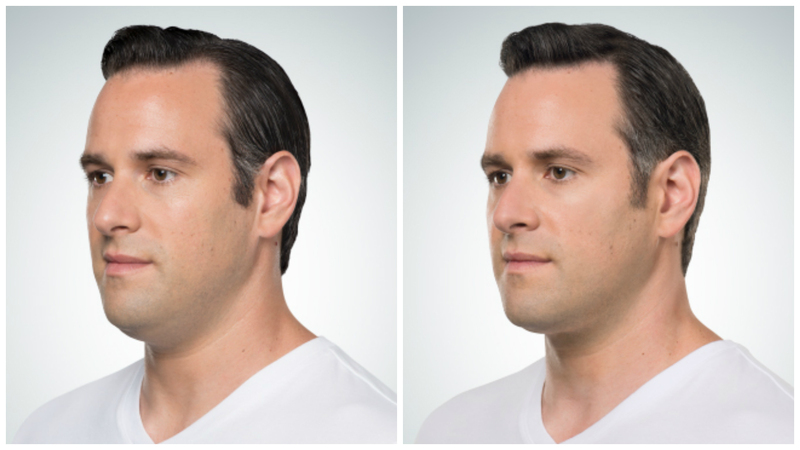 This minimally-invasive lifting procedure uses resorbable suspension sutures to lift saggy skin on the lower face, jowls, cheeks and neck into a younger-looking position. For these reasons, the Silhouette InstaLift is picking up steam around the country as a new and novel solution for facial sagging and skin tightening. The procedure takes 30 minutes and is performed with local anesthesia – which means relatively no downtime aside for some temporary swelling and mild bruising. Fine sutures with biodegradable cones are inserted in and around the cheeks and midface to lift sagging tissues. The body gradually reabsorbs the glycolide/L-lactide (PLGA) sutures. “There is an immediate lifting effect and continued improvement over time as the PLGA cones stimulate fibroblasts and collagen production,” says Dr. Weinkle. Collagen is the main structural protein found in skin cells that is responsible for the skin elasticity most associated with youthful skin. Our natural supply of collagen dwindles over time. The Silhouette InstaLift packs the one-two punch against facial aging – lifting loose skin and adding volume. And there’s more: you can go back to your surgeon in a year or so to add sutures and maintain the results for longer. 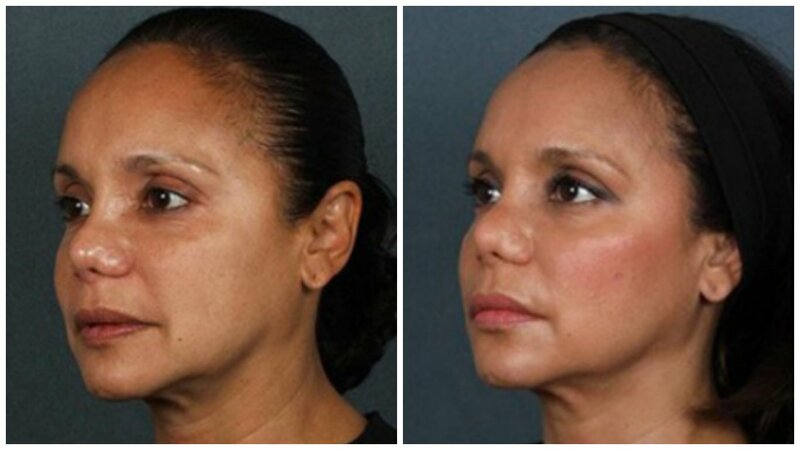 In some cases, the Silhouette InstaLift may help to postpone the need for a full facelift down the road. A Silhouette InstaLift procedure can cost from $3,000 to $5,000, based on the number of sutures placed and the geographical location of the doctor. Today’s cosmetic surgeons have a long list of tools to recontour the face, and when used together they have a synergistic effect that was once only possible with facelift surgery. 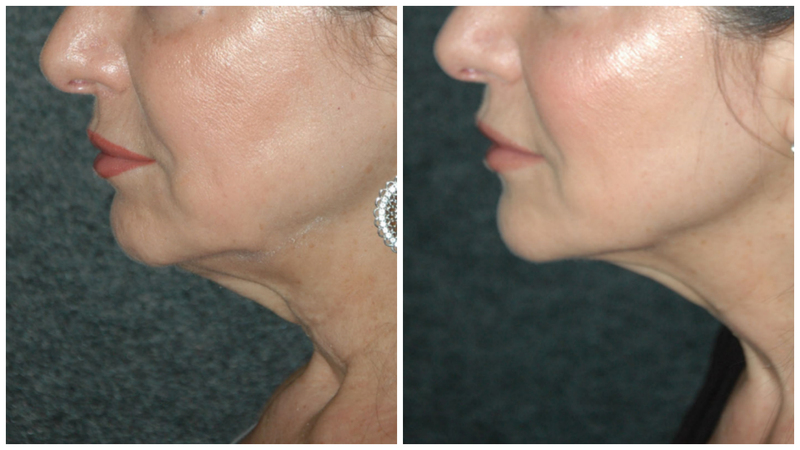 Kybella came onto the scene with a ton of fanfare, and is considered the premier solution for under-the-chin fat. It is an injectable drug that breaks down fat deposits for a recontouring and lifting effect that can mimic the results of a neck lift. Kybella injections take from 20-30 minutes, and can cost from $1,500 to $6,000 based on the number of treatments needed to achieve an optimal result. With cumulative sun exposure, weight loss or fluctuations, collagen and elastin breakdown, and well, the basic passing of time, your brows, cheeks, neck and décolleté may not look as taut and perky as they once did. Enter Ulthera, a US Food and Drug Administration cleared non-surgical ultrasound treatment for lifting and toning the face, neck and chest skin. Ultherapy works differently than lasers to improve the superficial layers of the skin such as fine lines, wrinkles, and pigment. “Ultherapy addresses the deep skin layers that lend support to the skin. With ultrasound, we can bypass the skin’s upper layers and deliver the energy directly to the deeper layers,” he explains. One treatment will naturally rejuvenate and strengthen the collagen within the skin. “Ultherapy results in a more awake, alert look to the eyes, lifts the eyebrows, creates a more defined jaw line and a tighter neck,” says Dr. Jacono. In most people, one or two treatments spaced about three months apart are recommended for the best results, and treatments can be repeated as needed for long term maintenance and to stay on top of skin sagging. An Ultherapy treatment takes from 30-60 minutes with results occurring gradually over 2-3 months. Costs can range from $3,500 to $5,000 depending on how many areas are treated in a single session.